#G0661* – The EU can ONLY be described as disasterous. the truth will out and EU Trade commissioner in arrogance, hubris and contempt tells us all what OUR politicians have tried to pretend they didn’t know! The European Union is in the middle of a full-fledged crisis, facing the very real prospect of the failure of its most ambitious project – the euro common currency. Some 17 of the 27 member states are inside the Eurozone, but there is a very real question about whether Greece, crippled by sovereign debt, will be forced out. 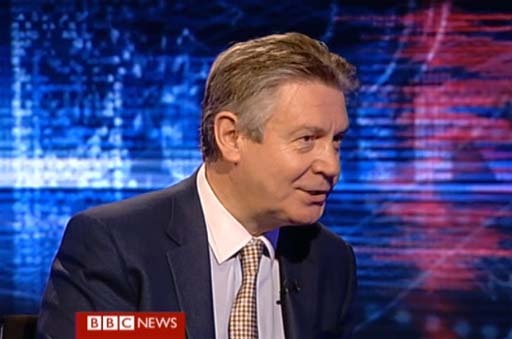 EU Trade Commissioner, Karel de Gucht tells Stephen Sackur there is no plan B for Greece. Maybe you don’t, your population don’t completely understand this but this, the European monetary union, it’s not only about monetary affairs, economic affairs. It’s a political project, you know. It would mean the end of the European Union. It would be the end of the political project of our era. There’s no alternative to that so we’ll sort it out, whatever it takes. Watch this shocking interview which shows the ill mannered contempt the EU’s unelected, self styled, self serving elite really have for those they exploit for their own ends! The tragic point is there is absolutely no serious organisation representing the very clear revulsion an ever increasing thinking and responsible grouping in these United Kingdoms think of the malign influence and role of The EU and their wish to Leave-The-EU with UKIP increasingly missing the entire point and playing directly into the hands of those who are all too willing to betray these United Kingdoms for their own gain. 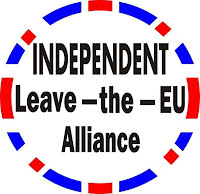 UKIP is steadily moving to take up the extremist racist, right wing anti homosexual, anti Jewish position of the now largely defunct BNP – Not so much The BNP in blazers as the new Pan EU British National Group! UKIP’s Nigel Farage has an article in The Sun..
Peter Reeve UKIP & Tory Employee held in low regard! Default UKIP MEP Gerard Batten is a laughing stock. Seems UKIP can find NO ONE of Gravitas! UKIP’s far-right links exposed as a driving force! Farage gets some political coverage of value! Seems Gerard Batten NOT Found Guilty! Next Next post: #G0662* – Considering American Realities!